India captain Virat Kohli added another feather to his illustrious cap after he got honoured in a unique way by the Bradman Museum ahead of the 1st Test against Australia at Adelaide. India captain Virat Kohli added another feather to his illustrious cap after he got honoured in a unique way by the Bradman Museum ahead of the 1st Test against Australia at Adelaide. Kohli has a special bond with Australia, where he loves the grounds and it is also the place where he got his maiden Test hundred. He has already scored five hundred in the country, just two behind Sachin Tendulkar. 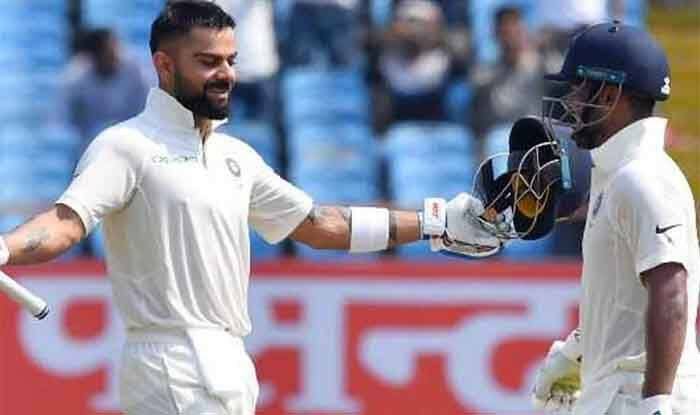 Recently, Kohli has received a special honour as a signed jersey that he donated after scoring his maiden hundred in the fourth Test at the SCG got placed next to Sachin Tendulkar’s portrait. The museum celebrates Bradman’s achievements and honours the biggest achievers of the game. Great opening KAPIL TO KOHLI exhibit at #BradmanMuseum! “You learn from every series, every tour, every game that you play,” Kohli told in his recent interview with Sydney-based Macquarie Sports Radio.